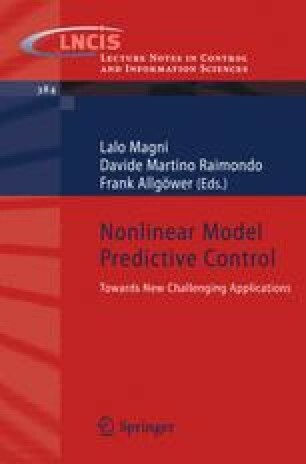 In this work, we propose a novel fault tolerant nonlinear model predictive control (FTNMPC) scheme for dealing with control problems associated with an autonomous nonlinear hybrid system (NHS). To begin with, we develop a scheme for state estimation of continuous as well as discrete states for autonomous NHS using unscented Kalman filter (UKF), a derivative free nonlinear state estimator, and further use it for formulating an NMPC scheme. The salient feature of the NMPC scheme is that the concept of sigma point propagation in UKF is extended to carry out the future trajectory predictions. We then proceed to develop a nonlinear version of generalized likelihood ratio (GLR) method that employs UKF for diagnosing sensor and/or actuator faults. The diagnostic information generated by the nonlinear GLR method is used for on-line correction of the measurement vector, the model used for state estimation/prediction and constraints in the NMPC formulation. The efficacy of the proposed state estimation, diagnosis and control schemes is demonstrated by conducting simulation studies on the benchmark three-tank hybrid system. Analysis of the simulation results reveals that the FTNMPC scheme facilitates significant recovery in the closed loop performance particularly on occurrence of sensor faults.